Botanists are scientists who study plants, including flowering plants, and plant-like things such as moss and seaweed. 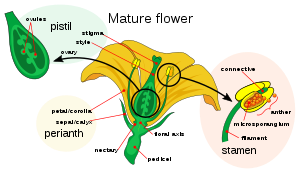 Botany is a scientific study of plants along with their growth, structure, evolution, and uses. Apoptosis, what makes a cell "decide" to die. This study area has been important for cancer research. This page was last changed on 14 September 2018, at 00:06.